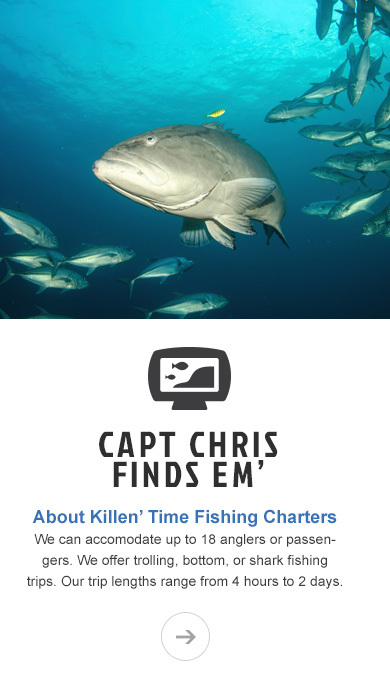 The KILLEN TIME and KILLIN FISH are charter fishing boats that offer clean and comfortable restrooms, bunks, fully AIR CONDITIONED cabins, and are equipped with state of the art electronics. Our vessels are FAST, meaning less ride time, and more fishing time!!! 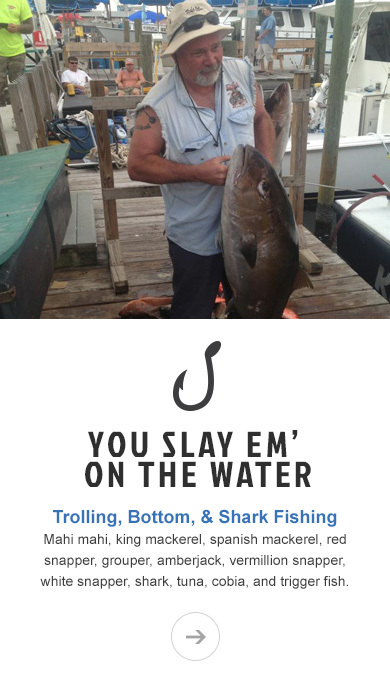 Captain Chris has a great reputation for deep sea fishing, with over 12 years experience to guide him, "HE KNOWS WHERE THE FISH ARE!" We welcome ALL ages, so bring your family, or just a group of friends and we'll make sure every charter is successful, as well as unforgettable. Excellent captain and crew knew just where fish were and great day can cook right behind boat. Go for 8 to 12 hrs for best experience. 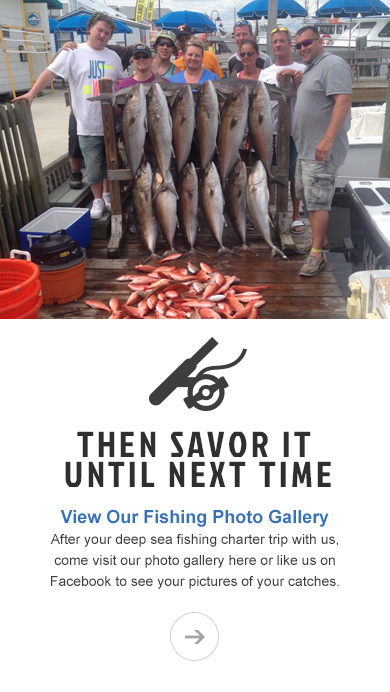 Their charter trips for sea charters in Panama City Beach are incredible.